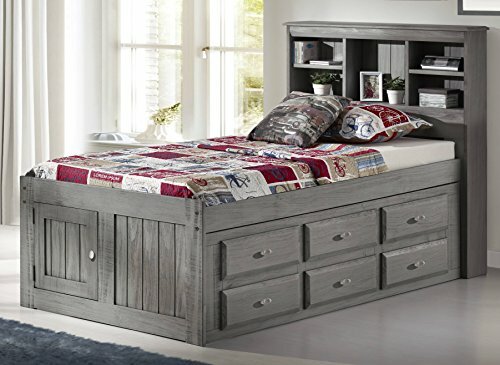 Discovery World Furniture Charcoal Twin Bookcase Captains Bed With 6 drawer Storage by Discovery World Furniture at Indsight. Hurry! Limited time offer. Offer valid only while supplies last.